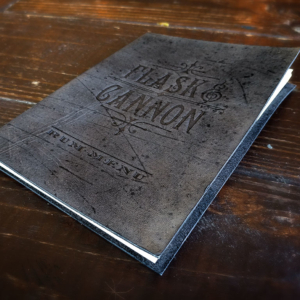 As Nuera’s creative director and lead designer, I’ve definitely seen my share of interesting and unexpected graphics projects, but perhaps none more so than the visual brand that became Flask & Cannon. 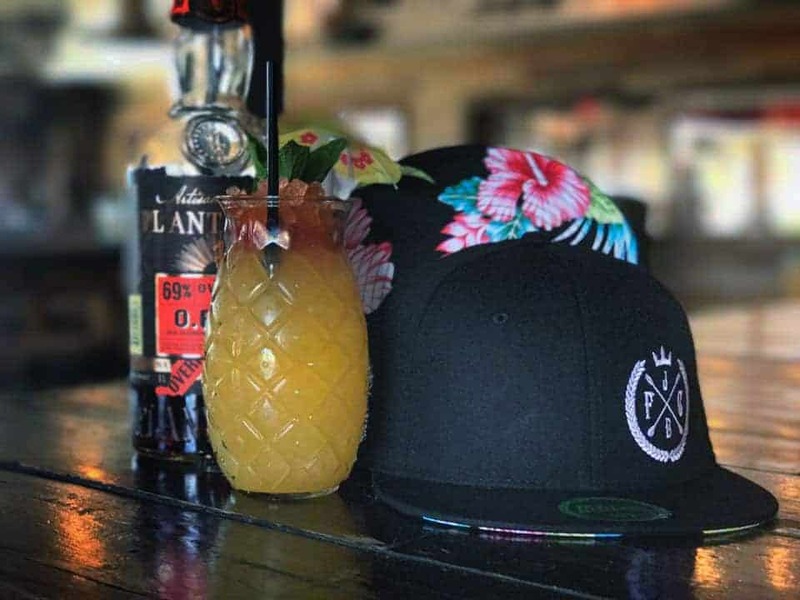 Established bar-owners Kurt Rogers and Matt Carson knew what they wanted but weren’t sure how to achieve it. 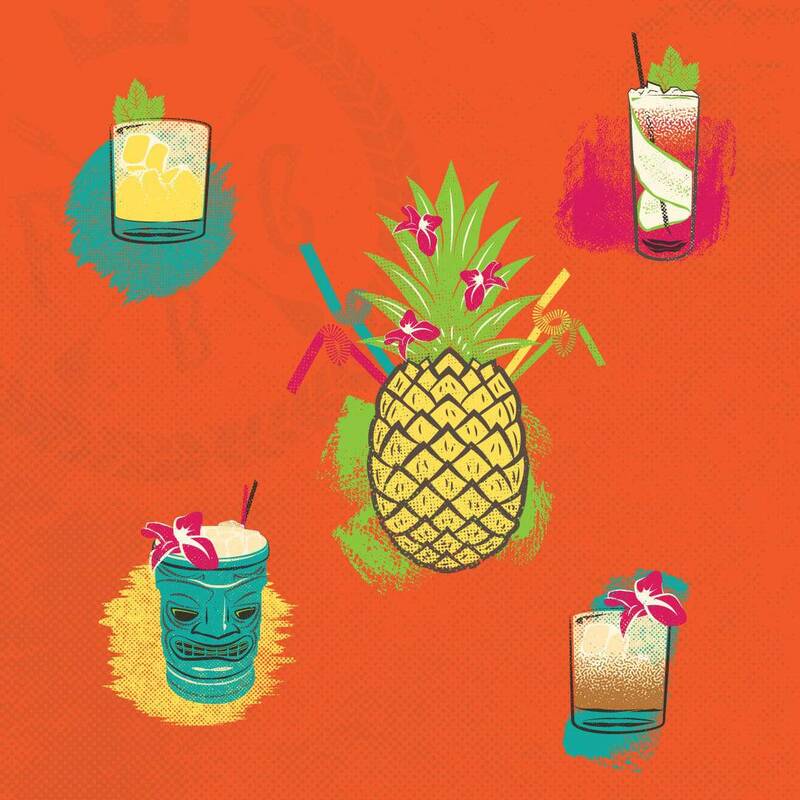 “Think urban tiki-bar, but fancy,” they said. 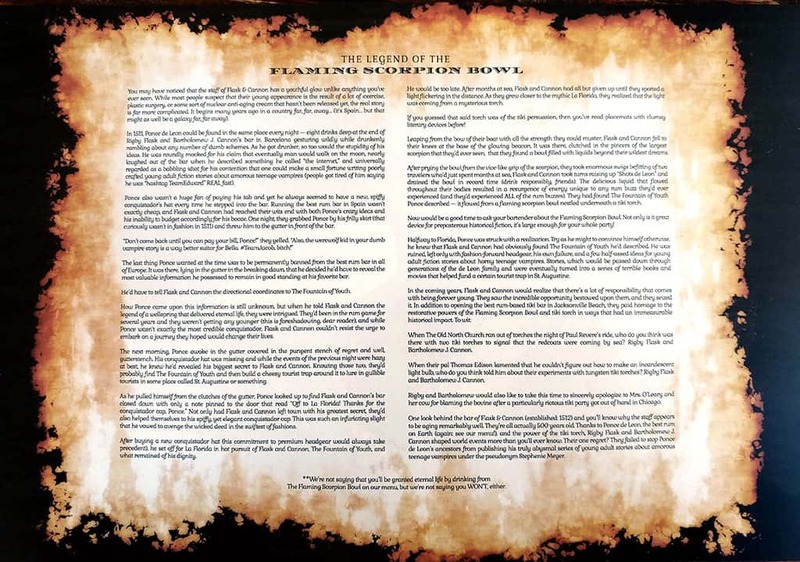 The description alone sets the imagination into a torrent of possibilities! 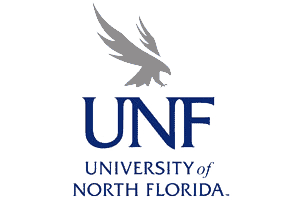 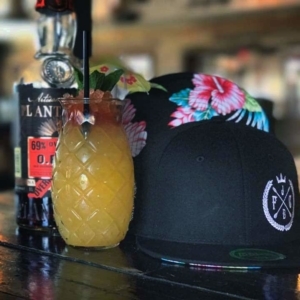 However abstruse the vision, Nuera helped develop a brand over the last few years that seems to perfectly capture what they were after all along. By combining a resort-like branding style with a material-based design aesthetic, Flask & Cannon projects a friendly but upscale atmosphere. 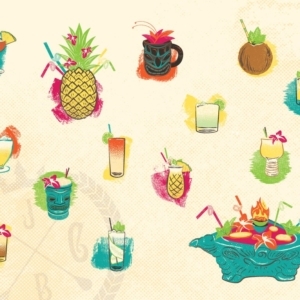 The bar captures the spirit of the islands all the way from the South Pacific to the Caribbean, to bring Jax Beach the world’s best cocktails. 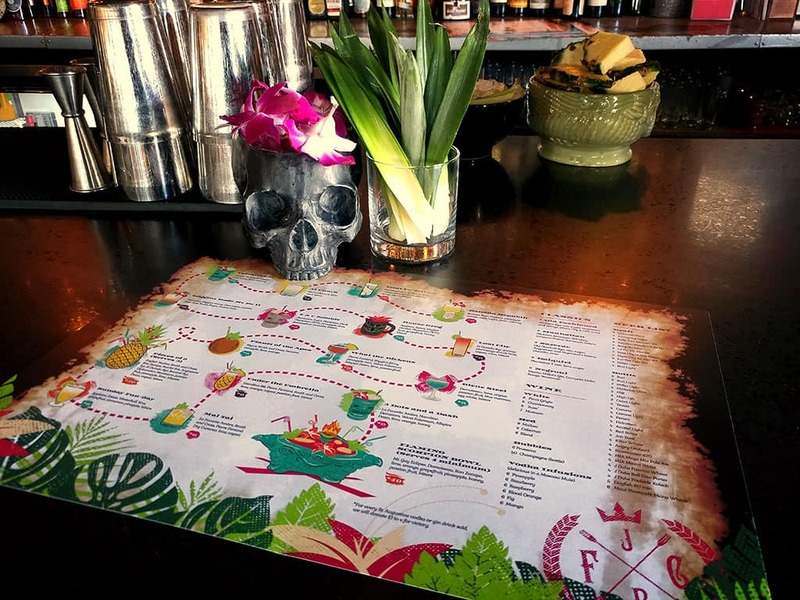 You can order any number of expertly-crafted, rum-based drinks – all while never having to put on much more than a swimsuit and flip-flops. 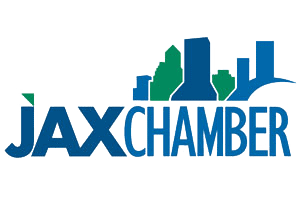 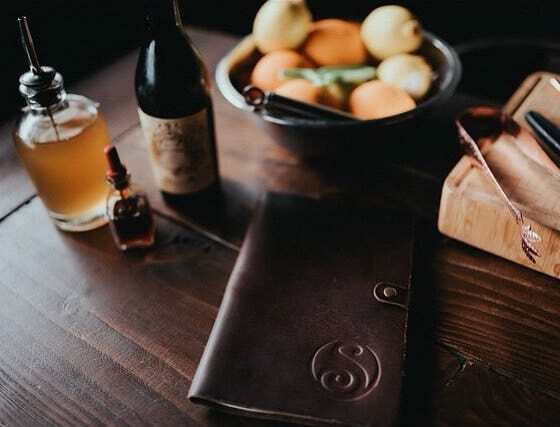 You can explore just a few of the elements Nuera has created for this one-of-a-kind business. 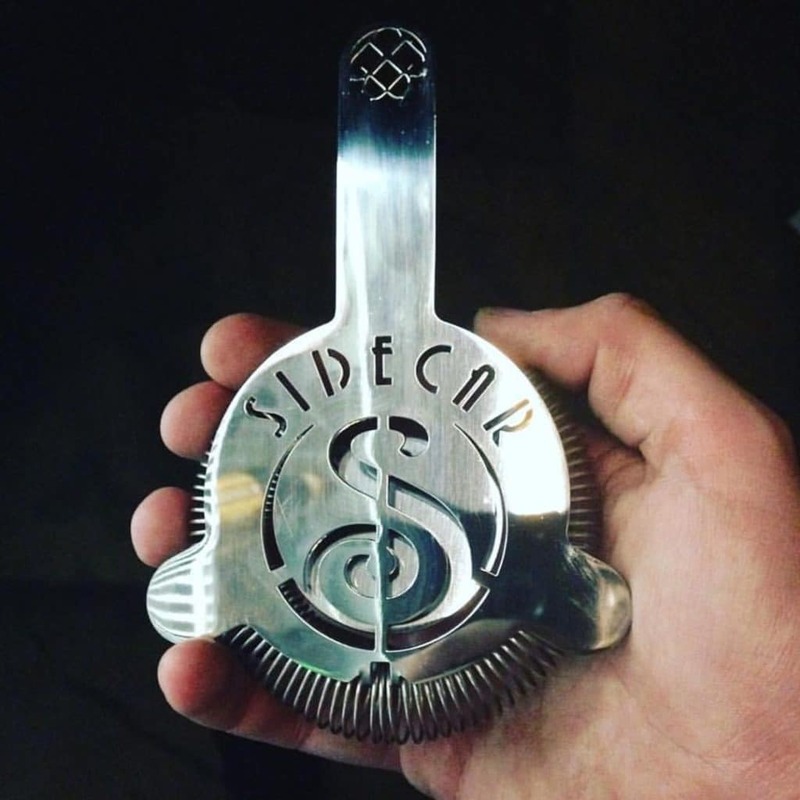 The logos, icons and one-offs created over the last couple years fit comfortably in polished metal or burned wood. 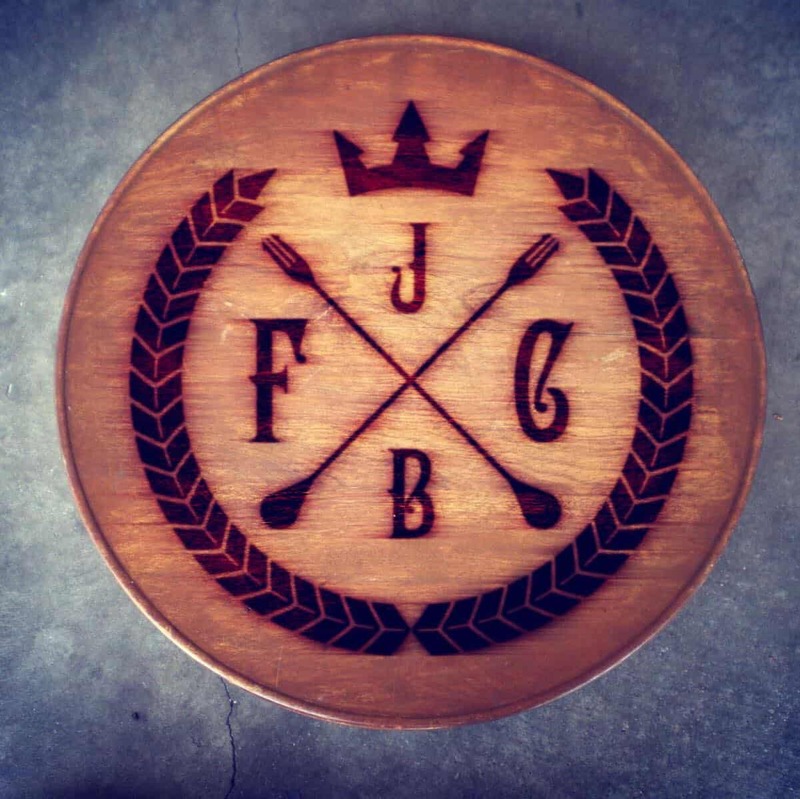 The ornate marks serve as an internally consistent context point regardless of the medium in which they appear. 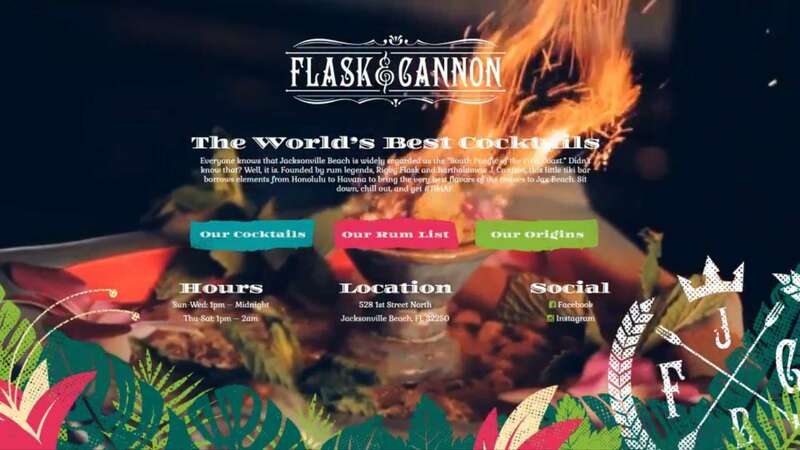 The bright colors and distressed textures of the classic tiki style really breathe life and vibrancy into the Flask & Cannon brand. 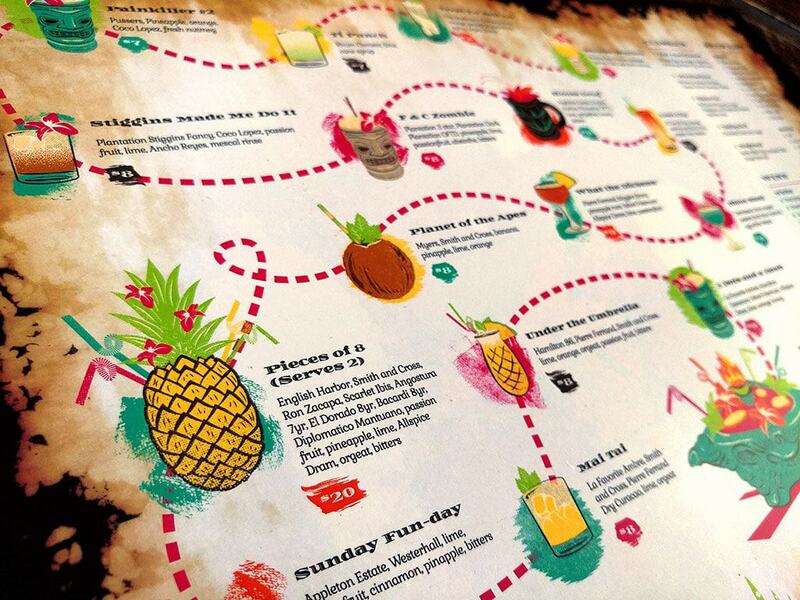 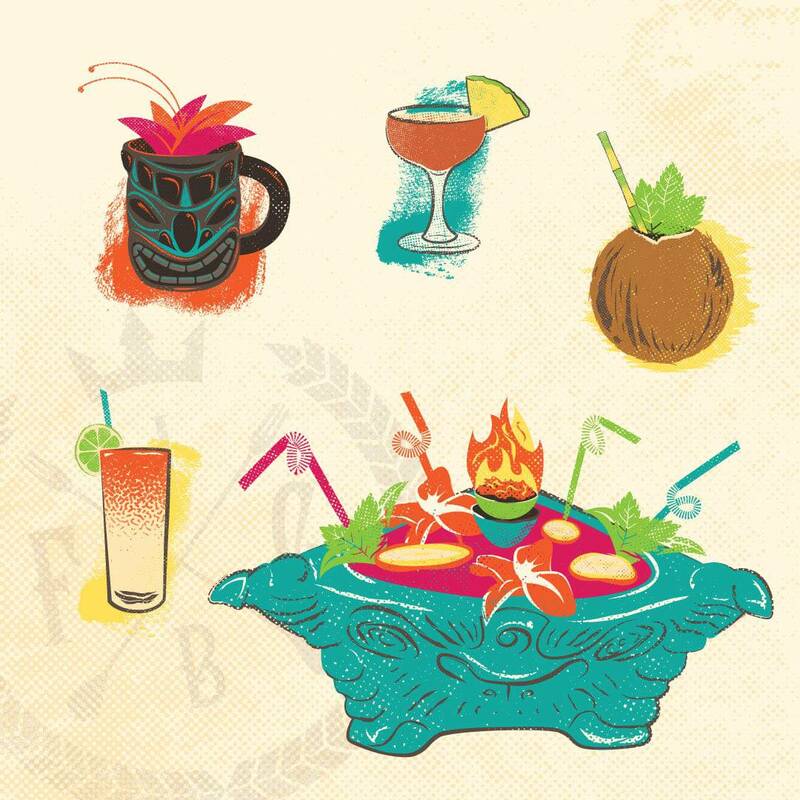 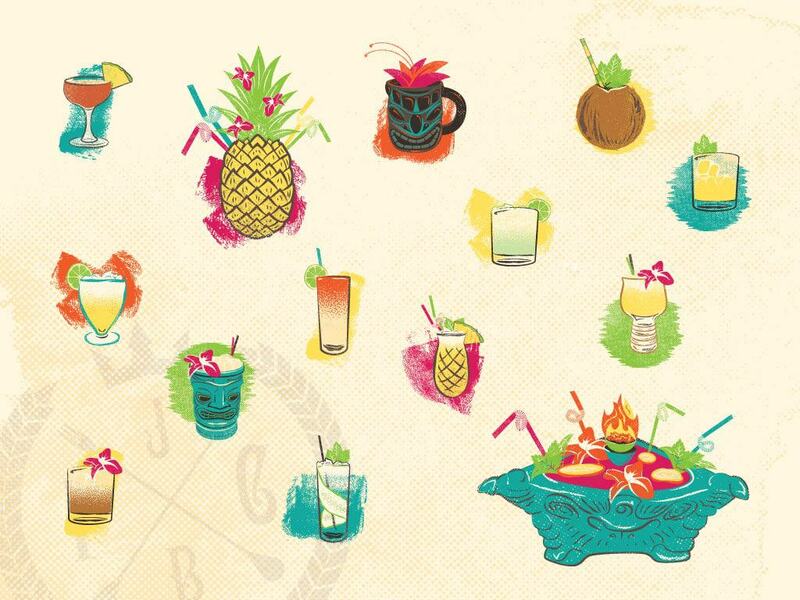 A large part of any bar-goer’s experience is the menu, but especially so in the tiki tradition. 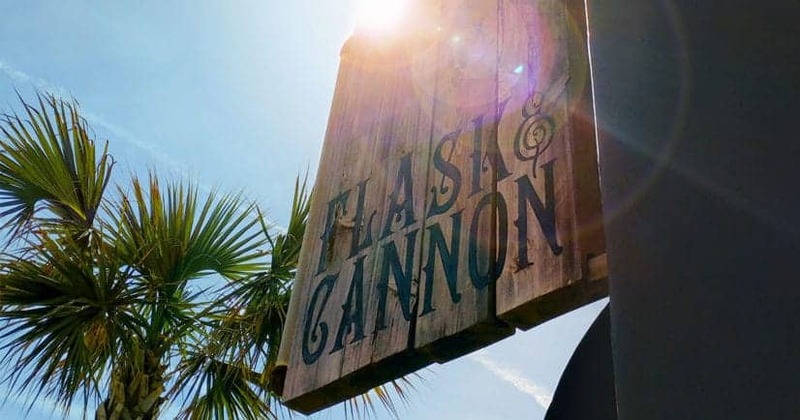 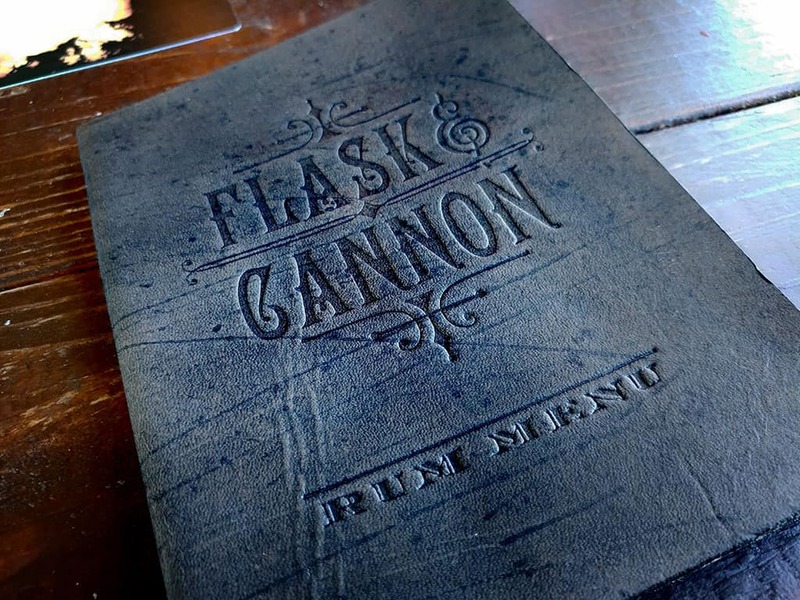 Since opening, Flask & Cannon have developed many unique and signature cocktails, which are served in anything from dainty stemware all the way to gigantic group tiki boats. 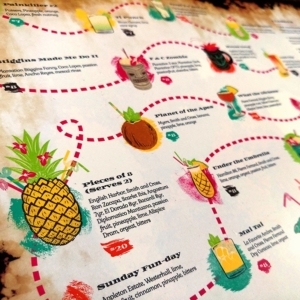 It was our charge to capture all of these curated cocktails in a single, placemat-style menu; which would feature visual illustrations of each concoction. 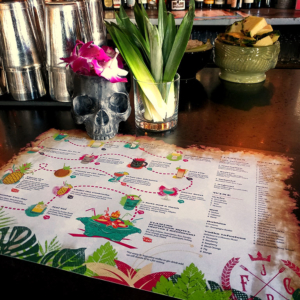 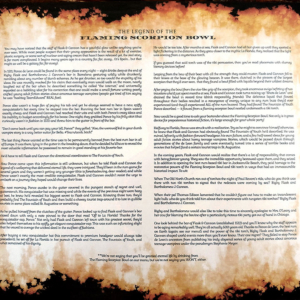 In addition, we also authored “The Legend of the Flaming Scorpion Bowl” for the flip-side of the menu, which is a hilarious faux-history of the bar and Ponce de Leon. 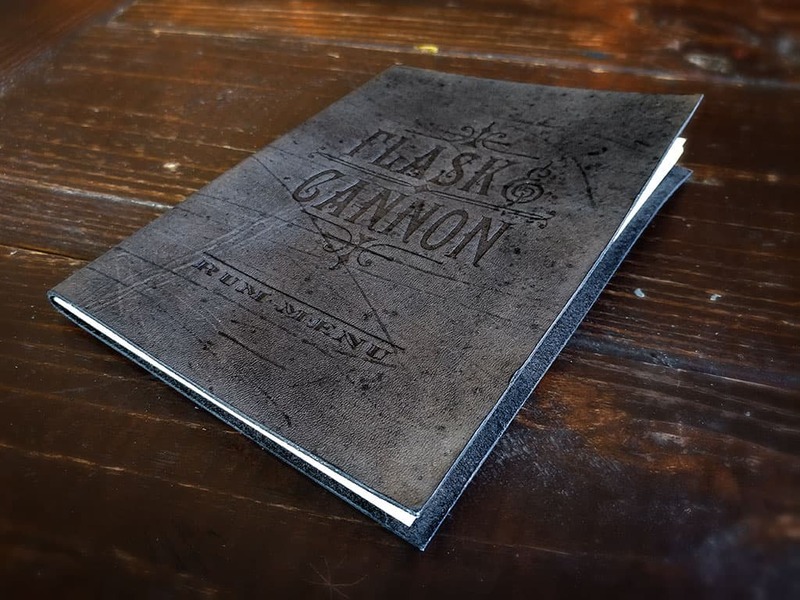 It was a blast to create it all, and you can read both on their website. 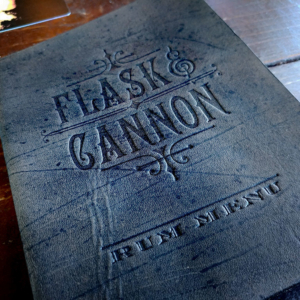 As a supplement to the colorful placemat menus, we also designed a black, leather-bound menu that features Flask & Cannon’s full rum selection. 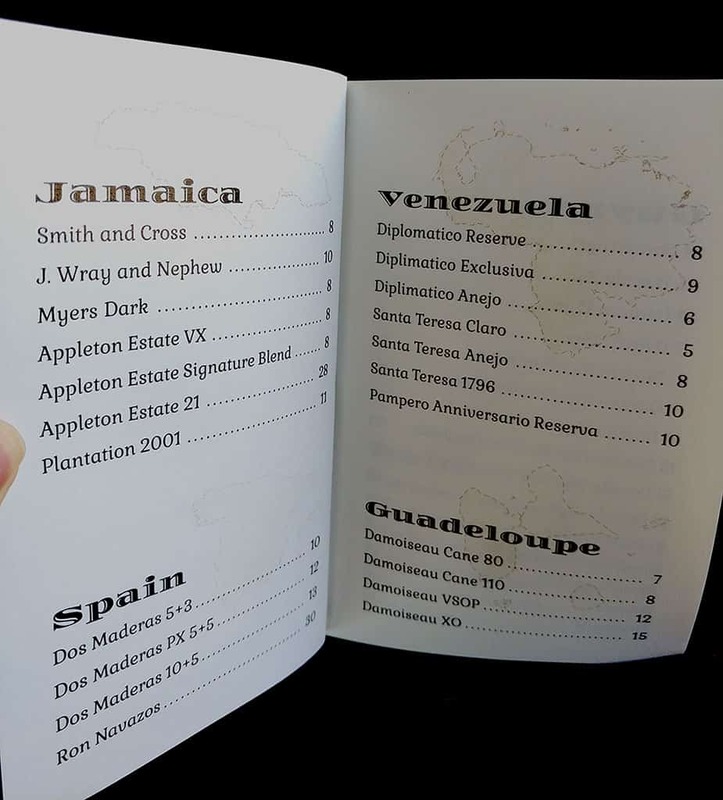 The list was so long that the rums had to be categorized into their countries of origin. 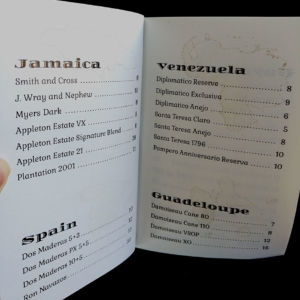 Honestly, we can’t think of a more convenient way to drink around the world than that! 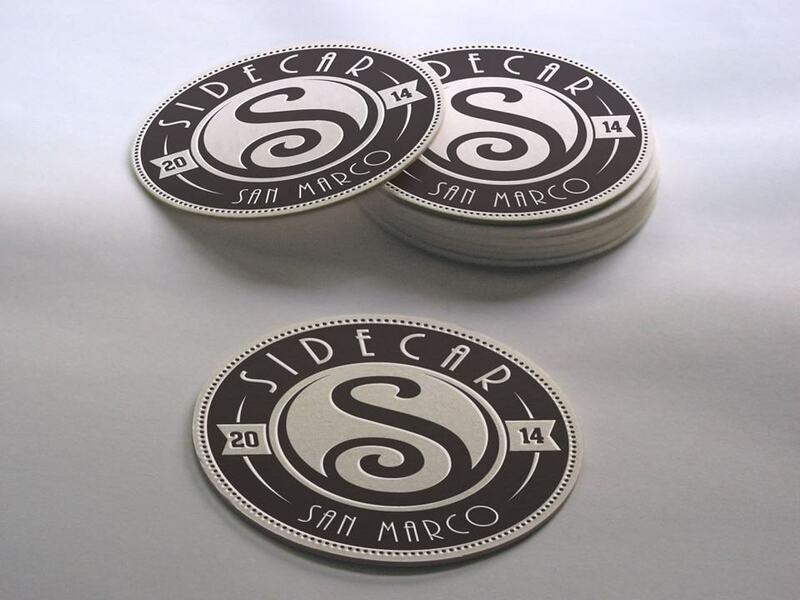 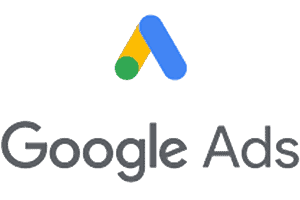 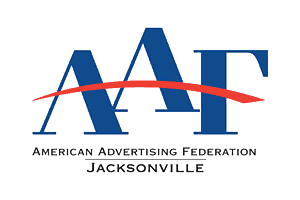 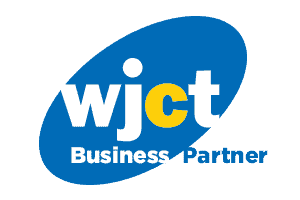 Along the way, we have also provided design support for lots of branded materials, all the way from shirts and hats to their exterior signage. 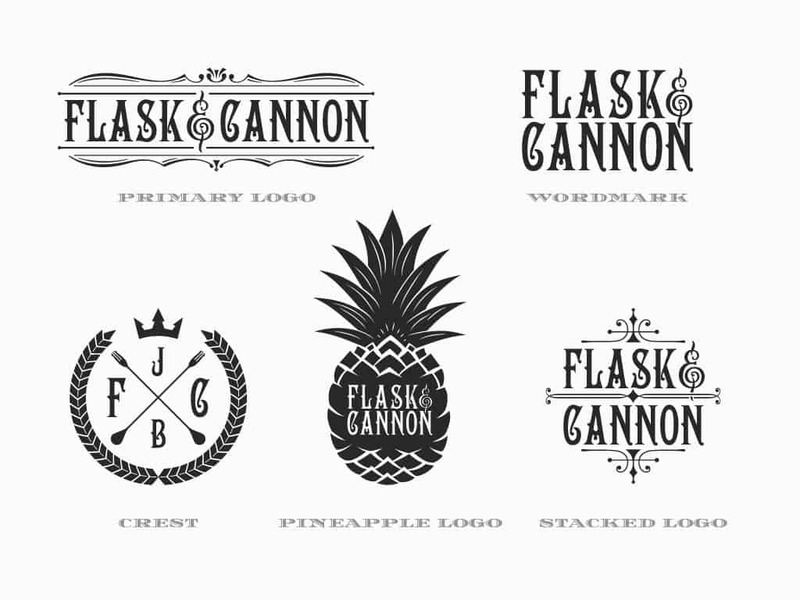 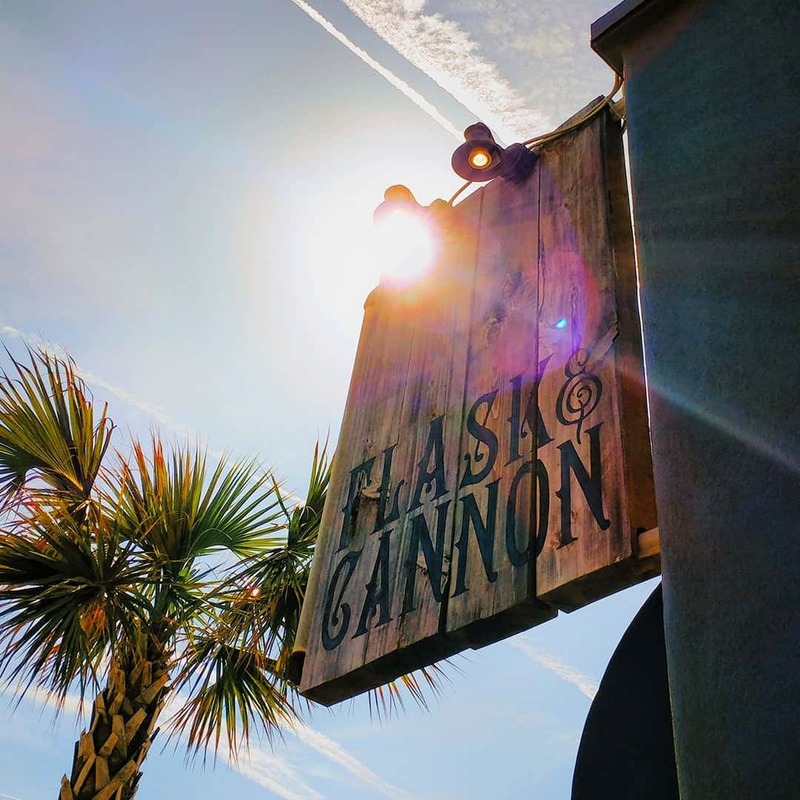 We’re always grateful for a fun project, and brands like Flask & Cannon are about as fun as they come. 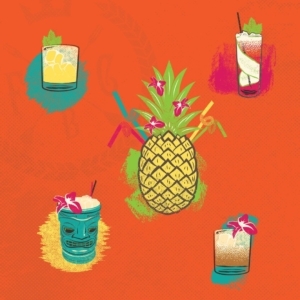 If you’ve got a taste for tiki, we recommend you check them out next time you’re in Jacksonville Beach.